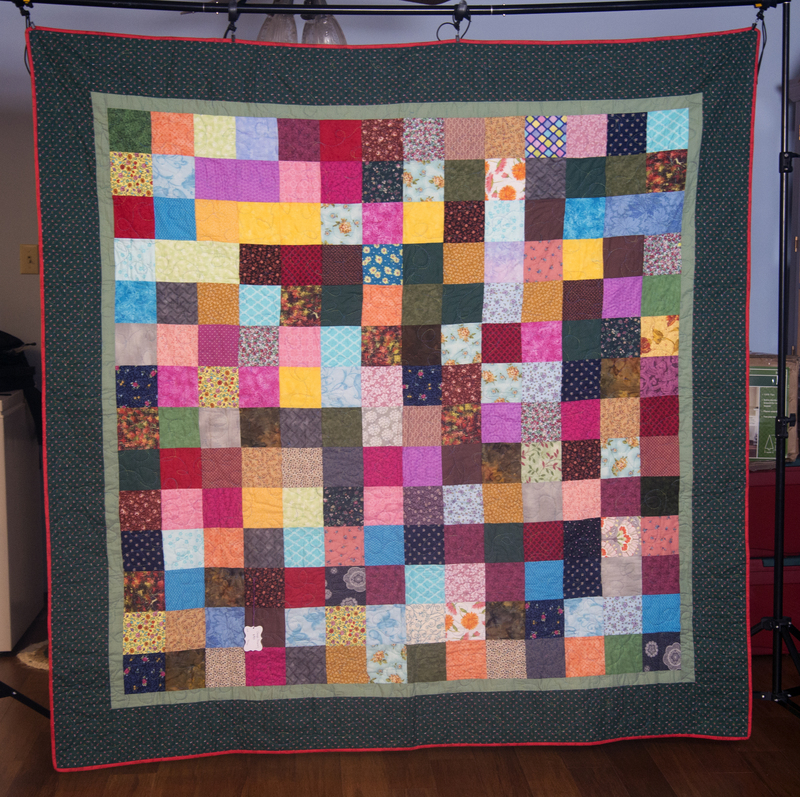 This quilt used 5″ squares that are called ‘nickles’. 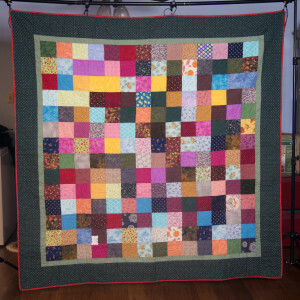 Therefore the name of the quilt. Every piece of fabric used in the pieced top and the backing are 100% cotton fabrics. The batting is 100% polyester.